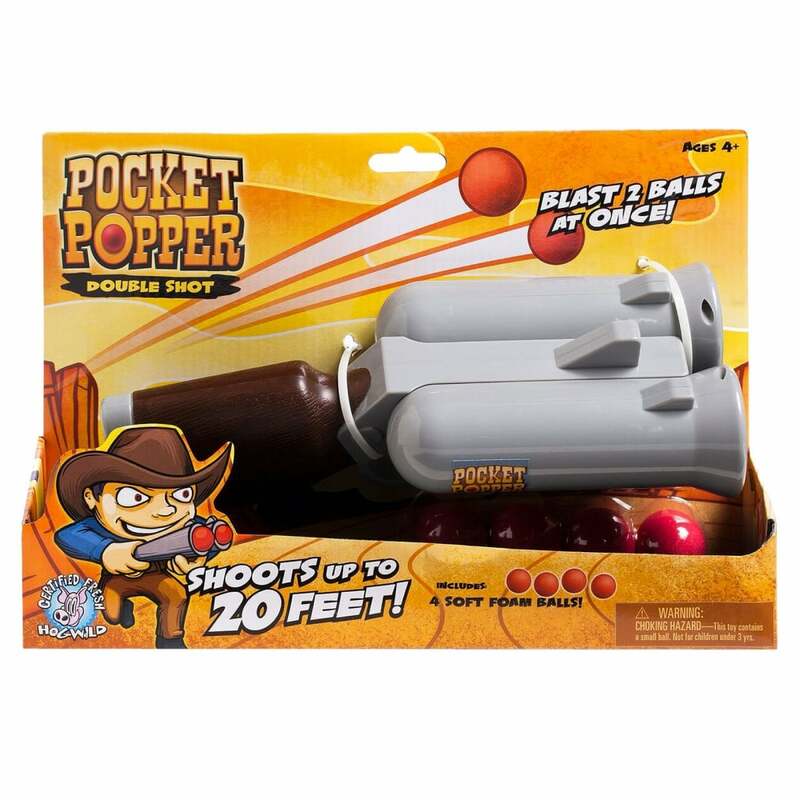 Blast two balls at once with this Wild West pocket popper! Pull back the lever and blast 2 balls at once cowboy or cowgirl style! Double shot can fire up to 20 feet! Blast two balls at once with the pocket popper double shot.